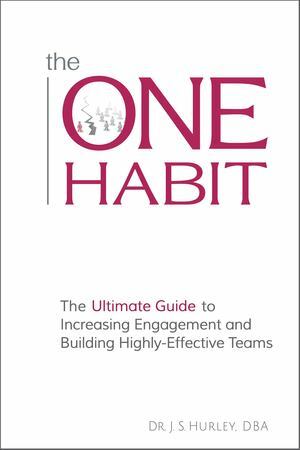 Dr. Jeb S. Hurley's ground-breaking research into work motivation, employee engagement, and team effectiveness, identified the habits that consistently set exceptional teams and team leaders apart from the rest.The ONE Habit introduces you to a 21st century model of team development. A guide for working team leaders, it contains practical actions simple enough to fit into already overloaded workdays, and powerful enough to quickly deliver superior team performance and greater individual well-being.This book will:- Help you put in place a solid framework for team development, with clear, easy-to-follow steps to build a highly-effective and engaged team.- Help you better understand individual motivation at work - and how it impacts team performance. You'll discover the three universal psychological needs that every team leader should understand, and learn how to connect them to the core of highly-effective teams: key relationships.- Focus you on the heart of highly-effective teams - strong, trusting relationships. You'll learn why gaps between what people expect and what they experience in these key relationships affects their motivation, engagement, and performance.- Introduce you to Xmetryx TRM (Team Relationship Management) software, and how it helps you and your team develop the habits that lead to improved team performance and increased individual well-being.The ONE Habit provides a robust framework for developing the single most important habit for elevating the employee experience and delivering team excellence.